Malawi Electoral Support Network (Mesn) and a political analyst say political parties failing to deploy efficient monitors during voter registration are committing a grave mistake and should not cause national chaos by raising last-minute procedure anomalies they should have detected before poll results. Mesn chairperson Steve Duwa and political analyst Humphrey Mvula issued the warning over reports that most parties are failing to deploy monitors during the current voter registration exercise ahead of next year’s general elections. 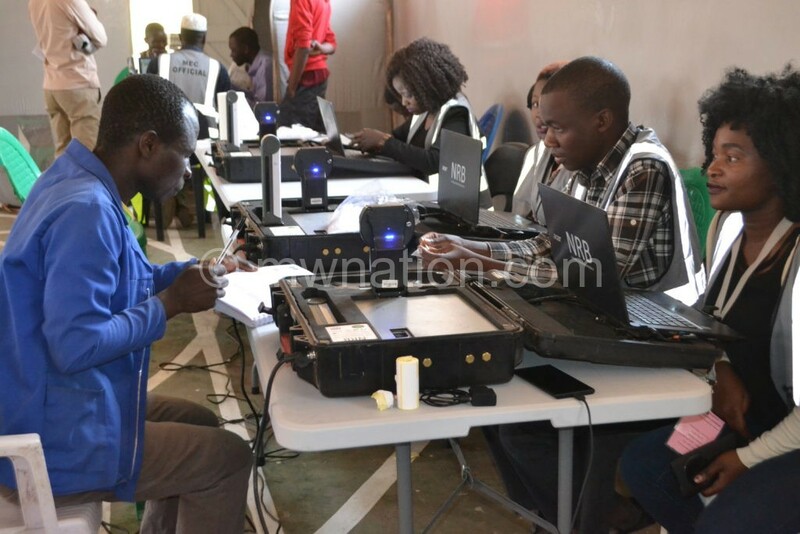 While inspecting the registration exercise in various parts of the country, Malawi Electoral Commission (MEC) chairperson Jane Ansah expressed regret that only the governing Democratic Progressive Party (DPP) and opposition Malawi Congress Party (MCP) consistently deployed the monitors. Speaking on the matter, Mvula said an election is a process with milestones that must be achieved by every stakeholder, including political parties. On his part, Steve Duwa appealed to all parties contesting in the elections to engage monitors in the voter registration exercise. Duwa said his weekend trip to Phalombe proved that even MCP, which has so far been consistent in having monitors in most voter registration centres, had no monitors at some centres while the United Democratic Front (UDF) seemed to have settled for erratic representation elsewhere in the Southern Region centres. Asked why MCP deploys monitors in most registration centres, party spokesperson the Reverend Maurice Munthali said MCP learnt a bitter lesson from some of the elections it lost. Commenting on the matter, United Transformation Movement (UTM) spokesperson Joseph Chidanti Malunga said the movement could not field monitors because it does not have a registration certificate. People’s Party secretary general Ibrahim Matola said MEC and other people who may have visited some registration centres may have noticed that the party is participating in the voter registration process. “It could merely be that our people were briefly out when the inspection officials visited; but we are there and we will be participating through the election,” he stated. Since Malawi embraced multi-party democracy in 1993, parties which have lost general elections have often protested election results.